Stroke is a common, potentially devastating disease with potential high morbidity and mortality. Recognition at the onset of acute ischemic stroke is pivotal to changing outcomes such as intravenous thrombolysis. Stroke monitoring is a burgeoning field with various methods described and newer devices that aid in detecting acute or worsening ischemia that can lead to improved bedside and intensive care unit management. 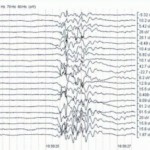 This article describes various methods of bedside stroke monitoring including newer techniques of intracranial pressure monitoring using the pressure reactivity index and compensatory reserve index to detect changes in autoregulatory states, noninvasive intracranial pressure monitoring, quantitative EEG with alpha–delta ratio, transcranial Doppler, methods of arteriovenous brain oxygen monitoring such as jugular venous oxygen and near-infrared spectroscopy, invasive brain oxygen probes such as LicoxTM (brain tissue O2), cerebral blood flow probe (CBF HemedexTM) and cerebral microdialysis. Stroke is a major cause of death and disability worldwide, and the third or fourth most common cause of death in the USA. Therefore, stroke is an extremely common and potentially devastating disease. Acute recognition is critical to timely therapeutic intervention, which has evolved over time due to research including intravenous recombinant tissue plasminogen activator for ischemic stroke. However, the management of the stroke patient after the initial few hours and over the next few days – including blood pressure management, development of raised intracranial pressure (ICP) and management of seizures, fever and medical complications – are critical to patient outcomes. The evolution of bedside intensive care unit (ICU) techniques to monitor unstable brain tissue has developed in parallel to the ongoing research in acute stroke therapeutics. For example, the avoidance of hypoglycemia or hypotension after acute ischemic stroke might improve patient outcomes. However, after acute stroke, long-term hypertension control is important to preventing secondary stroke. [6,7] Prevention and treatment of fever after stroke can also potentially improve outcome. This article briefly describes standard ICU bedside stroke monitoring techniques and expands upon them with newer ICU stroke monitoring techniques. Perhaps one of the oldest methods of monitoring the acute stroke patient is the measurement of ICP. Since cerebral perfusion pressure (CPP) = mean arterial pressure – ICP, the measurement and management of ICP has profound cerebral physiology management implications. Without detection of raised ICP, CPP will be compromised and can cause secondary focal or global ischemia. The Monroe–Kellie hypothesis explains how three volumes of brain, blood and cerebrospinal fluid relate to intracranial pressure–volume relationship. The adult skull contains a finite volume, as compared with pediatric populations (<2 years of age), which contain a soft, expansive fontanel. Since the skull is a closed intracranial vault in adults, an increased ‘total’ intracranial volume such as adding a hematoma must be reciprocally compensated by a decrease in cerebral blood volume (e.g., more venous outflow) or decreased cerebrospinal fluid volume in order to maintain normal ICP and preserve CPP. When intracranial compensatory mechanisms can no longer accommodate additional increases in intracranial volume, ICP rises precipitously and CPP trends towards 0. Normal ICP values are defined as <20 mmHg. [9–14] CPP in a normal ‘autoregulated’ state varies across a range of mean arterial pressure values to maintain a constant cerebral blood flow (CBF) (Figure 1). Injury to brain tissue results in disturbed pressure autoregulation, meaning CBF becomes linearly dependent upon CPP. Therefore, ICP monitoring is often necessary to first measure ICP, and secondarily calculate CPP. CBF can be assumed but not directly measured from ICP alone, which is problematic, especially if it is not known whether autoregulation is present or absent. However, newer complex ‘multimodal monitoring’ (MMM) computers can calculate via a Pearson moving correlation coefficient method, whether pressure autoregulation is present or absent, which adds value to the bedside management of critical patients. External ventricular drain (EVD) is perhaps one of the most common methods to invasively measure ICP via an intraventricular catheter, which allows for diagnosis and treatment of raised ICP. Ventricular ICP measurement is considered a ‘gold-standard’ means for assessing elevations in global ICP,[4,11] but it is invasive. EVDs also carry the risk of CNS infection such as meningitis/ventriculitis, like any other invasive brain probe, as well as risk of brain hemorrhage with EVD placement within the parenchyma. Antibiotic and silver-coated catheters are now in clinical use and may reduce the risk of infection. Over the last 100 years, an ever-increasing number of ICU bedside monitoring techniques have been discovered and researched to aid the stroke patient. Newer and noninvasive methods are emerging such as NIRS, nICP and MMM computer help provide a ‘unified’ graphical display to help manage complex physiological relationships. Such MMM ability, while it remains mostly at advanced or academic neuroscience ICUs across the world, may prove in future research to derive specific physiological parameters for intervention, similar to directed therapy targets in sepsis. Stroke is a devastating disease, ranking fourth among leading causes of death in the USA, and is a global disease with similar mortality and morbidity. Management of blood pressure, intracranial pressure, fever and seizures in critical care patients after the onset of a stroke is vital to patient outcomes. The recent advancements in neuromonitoring and interventional therapy have been linked to an overall decrease in the rates of morbidity and mortality among patients suffering from stroke-related illnesses. Monitoring of intracranial pressure (ICP) has profound implications to the status of a patient’s cerebral autoregulation, and the direction of necessary neurotherapeutics. Understanding the mixed venous O2saturation provided by jugular venous oxygen saturation and near-infrared spectroscopy (NIRS) offers insights into the ‘supply and demand’ physiology of the injured brain, and may help detect previously undiagnosed ‘cerebral desaturations’ and secondary ischemia. Currently, invasive methods of ICP measurement such as the external ventricular drain are seen as the gold standard for assessing elevations in ICP, but may place the patient at risk of infection, especially with prolonged monitoring. Noninvasive monitoring devices such as EEG, transcranial Doppler and NIRS provide alternative methods for indirectly measuring cerebral metabolic function without the risks of invasive probes and devices (e.g., LicoxTM). Newer modalities such as NIRS and cerebral HemedexTM require validation against gold-standard methods of brain oxygenation and blood flow, respectively, before they receive widespread implementation. New device to monitor heart arrythmias!